Meeting your marketing goals is a no-brainer. What’s a company without promotion, or a product without buzz? Whether you’re in the luxury auto business, oversee a chain of upscale hotels, or sell insurance, marketing is a crucial part of your business. Of course, you’re well-versed in the new age of online marketing, whether you came up from the beginning or are a digital native — but are you focusing on your SEO goals? Like pairing a choice cut of meat with the perfect glass of wine, your marketing strategy and SEO objectives should work beautifully together. But first, you have to know what you want your goals to be. Not sure where to start? Follow along. We’re going to walk through a foolproof strategy to crafting goals for your business that will take your ROI to the next level. The end result of any SEO strategy is profit — plain and simple. You’re not in business to JUST make friends, even though that’s a big plus. On the road to increasing revenue, there are a few pit stops that don’t have clear dollar signs attached. However, they’re just as important as any measurable transaction. These are the KPIs to keep an eye on, so pay close attention! Here’s why you’re taking a deep dive into the world of SEO: to be number one with a bullet on Google. In the U.S., Google reigns supreme, with a market share of 63.4 percent. The second biggest search engine might surprise you — YouTube. Facebook is growing in leaps and bounds every day, too. Combined with Google, they represent a stunning 103% of digital advertising growth. It’s safe to say aligning your organic marketing and SEO strategy is something you can’t afford to ignore. First comes rank, then comes traffic — but not immediately. 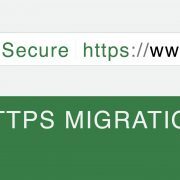 Traffic is defined by how many people visit your site. Even those pages that break the top ten search results aren’t successful overnight, so be patient with this metric. A great way to pull in potential customers is to make sure your meta description and title tag are appealing. Great content gets clicks, so align marketing and SEO with attractive content for maximum results. Getting eyeballs on the page is important, so it’s crucial to utilize search engine optimization to climb the search engine ranks. This is truly the meat and potatoes of your SEO strategy – profit is just dessert. Engagement can be a like or a click, but your overall aim is to build a relationship. 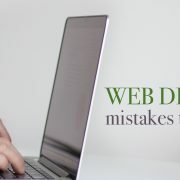 Website optimization goals can sound very clinical — metadata and tagging — but this is the part that’s very human. Do your own search engine research and see what topics are associated with your product or service. Craft winning content around a narrow focus and promote it on your social sites. Don’t just think about plugging your products — people smell a disingenuous ad a mile away. Instead, answer your clients’ questions; add value to their everyday life with a fun picture. Yes, the engagement metric is difficult to pin down and there’s no faking it, but if this isn’t one of your main goals, you risk being left in the digital dust. 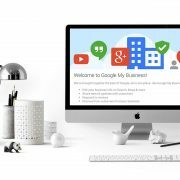 OK, so you’re in the top five search engine results, you’re seeing more people clicking onto your site, and you’ve built a nice online community. Now, how do you finish the deal? All of the above is wonderful to have, but where you can really shine is by mastering conversions. First, you need a clear idea of what a conversion looks like to you. Is it a subscription to a newsletter? Is it a wholesale purchase? 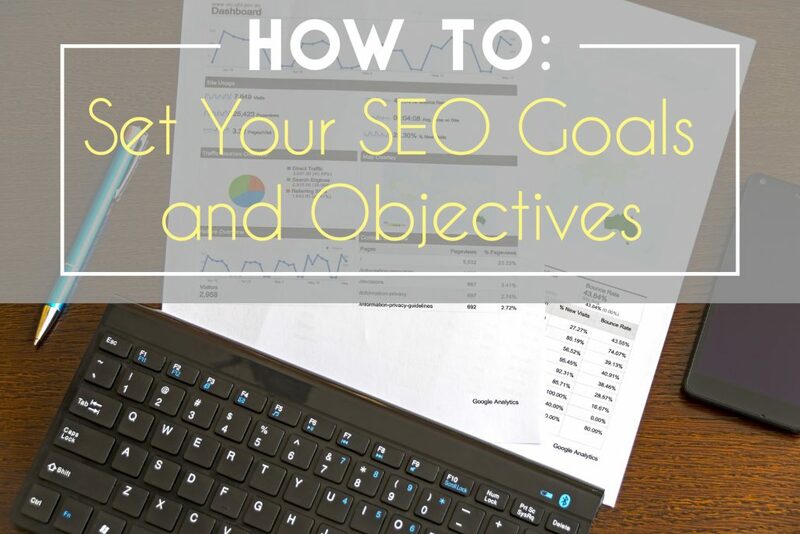 Once you’ve clearly defined that goal, line up your marketing and SEO strategies to really kill it. This is where you’re going to need to do some research on your customers — study the psychology of what leads them to turn over their cold, hard cash to you. If you’re finding this step in the process puzzling, why not ask your customers directly? Include an exit survey after a purchase, or send a follow-up email to gather some insight. You might not get a bounty of answers, but whatever you get back will at least yield a few clues. In turn, you can use that information to tweak your content and target what areas you rank highly for. For example, if you’re selling golf equipment and you’re not seeing ideal golf ball sales, there are a few things you can do. Look into the purchasing habits of the customers that are buying them. Do they tend to prefer one brand over another? If so, feature that brand on your product page! Next, create content regarding the golf balls — things like “top five high performance golf balls” or maybe even try something funny, like “craziest places golfers have lost their golf balls”. Switching things up and having a dynamic approach is part of that engagement thing we mentioned before! Whatever a conversion looks like to you, do your research and hone in on your strategy. 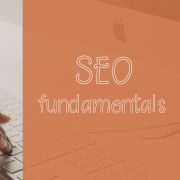 Now that you’ve mastered the most basic SEO elements a company needs to focus on, you’ll want to go beyond the ordinary. That’s why you’re going to need to bookmark this article. There are other strategies that many people overlook or dismiss, but are so crucial to dominating in 2017 and beyond. Get the aforementioned goals in place and you’re ready to move on to the next level. 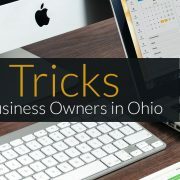 We can’t stress how important reputation management is, especially for local businesses. Have you ever gone on an epic rant on a business’ Facebook page and then…nothing? Or how about that time you took a moment out of your busy day to bestow a five-star rating, and it went totally unacknowledged? I’m sure you weren’t too thrilled. Hire someone with experience in customer relations to take care of your accounts. You might have to invest a little bit more than you would by hiring a newbie, but it’s worth it. Think about it — what’s your business’s reputation worth to you? Your ranking will soar if you have someone at the helm fielding those negative reviews quickly, as they pop up. Don’t neglect your positive reviews, either. A quick “thank you” goes a long way toward building a relationship with existing – and potential – customers. You might have a killer line that leads to conversions. You might have all your meta tags lined up. Your traffic might be rolling in and your online community thriving. But if you think you can still do more to boost sales, consider educating consumers about what you’re offering. Maybe your product has a hidden use. What if there’s a service you offer that people don’t know they need? Talk up your business in a way that brings a great understanding of what you do. Knowledgeable content is more engaging and builds trust in your brand. It’s a good idea to include consumer education into your goal strategy. 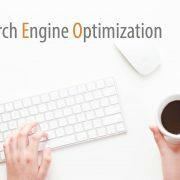 Here are a few more ideas that can help you match your SEO plan and marketing strategy, but be careful. Not everything is appropriate for your brand. When posting to Facebook, consider using emojis where it makes sense. They’re a great way to help your brand seem fun and young. Make sure you know what each one means, though! You don’t want a smiley face scandal on your hands. Is there someone in your field that’s popular with your potential clients? Consider reaching out to industry thought leaders and partnering up. Influencer marketing is a great way to build trust and give your popularity a boost. Live video is a great way to get eyeballs on your page, but here’s another place to tread carefully. Before you go live, make sure you’ve got an appropriate setup and a confident person in front of the camera. Mistakes happen, and that’s the thrill of live video, but don’t set yourself up for failure. Now that you know what elements of your strategy to work on, here’s how you’re going to achieve them. Give yourself time to measure your accomplishments. You might see your day-to-day metrics rise and fall dramatically, but you need to think in averages — SEO results take time; it’s worth the wait. That being said, keep your methods flexible. SEO is changing all the time. If there’s a new research development that says live video isn’t ranking the way it used to, move on to what’s going to meet your goals. Apply the appropriate resources to your targets. Don’t expect to create a content-rich blog with just one beleaguered intern. 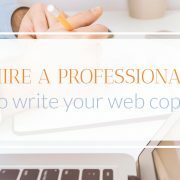 Work with the resources that are available – or bring in the pros. Here at iSynergy, we’re well-versed in crafting great SEO goals and helping you achieve them, too. 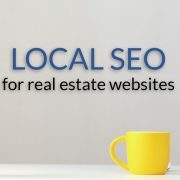 Which SEO ideas do you want to apply to your company’s marketing strategy? Have you ever used any of these methods? Let us know in the comments section!